The Secret of Le Mouton’s comfort, Wool ! Off the shoes, On the Comfort! 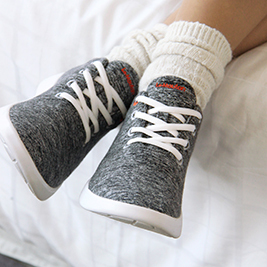 comfortable shoes in your life time? THE SECRET OF LE MOUTON'S COMFORT. WOOL ! None says it is possible to make the shoes made of wool. Wool is said not strong enough for footwear. However, 20 years of experience in fabric and passion for making the most comfortable shoes allow to gain the patent on wool weaving. Experience the comfort of Le Mouton made of organic merino wool. The shape of feet is different from one another just like facial features. But we all walk and run everyday wearing the stereotypical shoes that fit for one’s foot but not for others. Thanks to our patent, Le Mouton always conforms to your movement and keeps your feet in the most comfortable status just like tailored shoes. Le Mouton is the shoes that you can wear without socks. With the Moccasin method, it does not stimulate and hurt your feet. 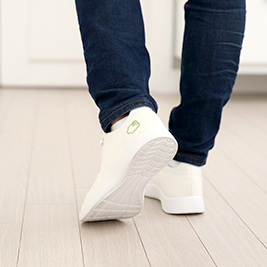 With the antibacterial material, there is no risk of having smelly feet. 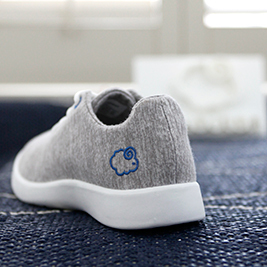 Unlike the shoes made of synthetic fabrics, Le Mouton reduces the opportunity for odors to develop by quickly absorbing and evaporating sweat into the air and will freshen its condition. It has the auto temperature regulating function so keeps you feet cool in the heat and warm in the cold. Le Mouton is 50% lighter than normal sneakers in the market. After long walk , it does not stress on your feet, ankles and knees. Suit for a jogging and a running even in the gym. Suit, Sweater and socks made of wool. Why not shoes? Stuffy sneakers and leather boots, high heels clutched at the toes and straining the soles. Our feet are suffering. 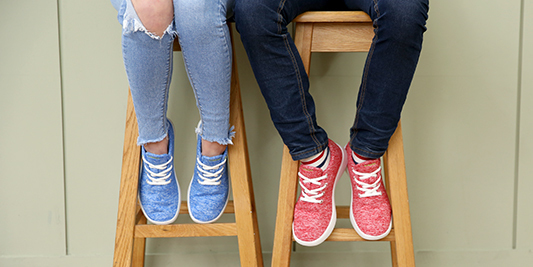 It is high time that your feet need the comfortable shoes. What if we make the shoes out of wool? This is the first question that Le Mouton end up. With 20 years of know–how and experience on weaving thread and cloth with wool. In order to answer the question, we were immersed in developing the clothes from wool, which can be strong enough and suit for making shoes with 20 years of know-how and experience on weaving thread and clothing with wool. 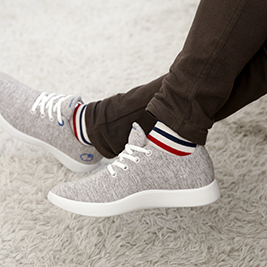 Le Mouton, the most comfortable shoes ever. We had faced the trouble to make shoes since wool is not strong enough for shoes, But we never gave up. We finally overcome the problem which means we can possibly make the most comfortable shoes in the world. Ready to experience the most comfortable shoes in your life time?